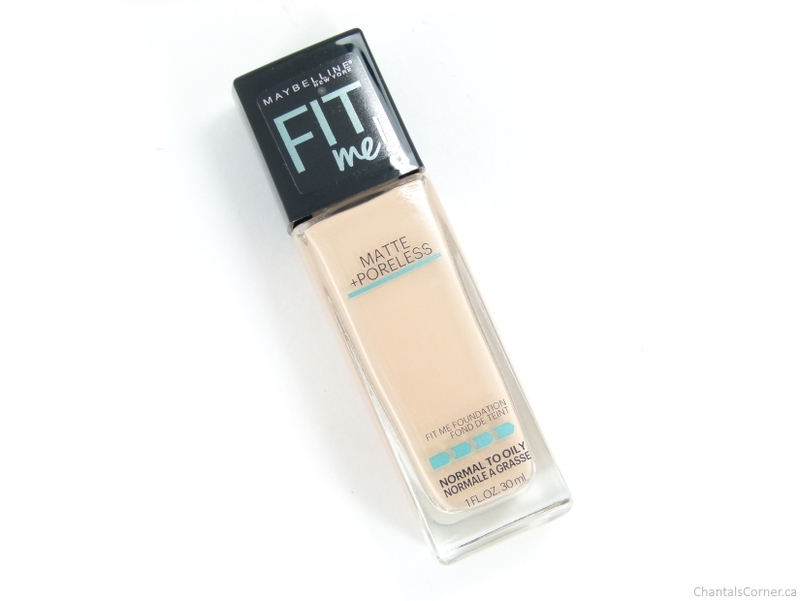 I was at Shoppers Drug Mart a few months ago and I just felt like trying out foundations so I looked around and this one looked like a good fit for my big pores and combination skin. I swatched a few colours on my arm and once I found one that I felt would work for me I swatched it on my neck under my chin since that’s the best place to get an accurate match. The colour 112 Natural Ivory (the 2nd lightest shade) looked perfect! But they were sold out; they only had the sampler left. So every time I went back I kept looking for it and finally one day they had it in stock and it was on sale – it was usually $11.99 CAD and was down to $6.99, SCORE! Let’s talk briefly about the lack of pump because I have to bring it up… I mean, come on, give me a pump please! Am I right??? I apply my foundation with a damp makeup sponge (currently using one from Quo). 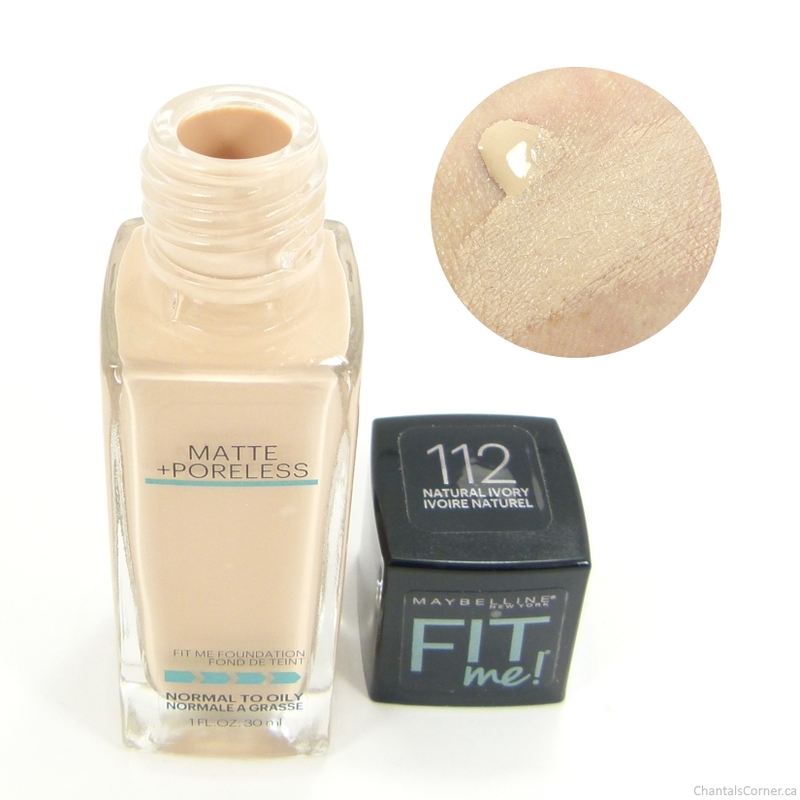 The first time I tried this foundation I did not use a primer underneath and although I loved how it felt and looked on my skin, after a few hours it settled in the wrinkles I have on my forehead and around my mouth and I did not like that. So the next time I started with a primer and problem solved! I never skip the primer now. 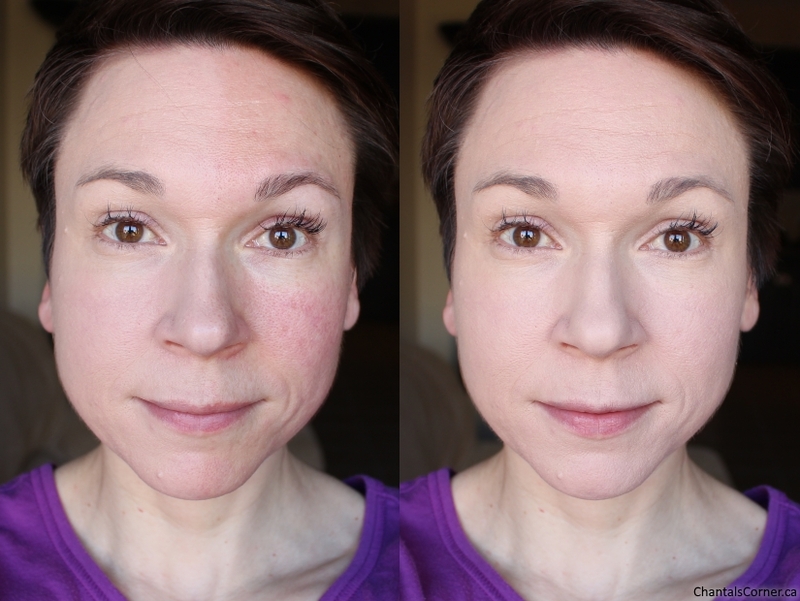 Here is how this foundation looks on me, first I only applied it to half my face so you can see how it tones down the redness, and then a full application so you can see the overall look. Ok so after seeing these pictures I’m thinking that 112 Natural Ivory might not be the best match for me and that 110 Porcelain may have been better, but it doesn’t look that different on me in real life, I swear! Unless my mirrors are lying to me…! I think that this shade might just be a bit too cool for me; that I need a shade that’s a bit warmer. 112 Natural Ivory matched my neck when I swatched it at the store – or at least it did in such a small amount, but 110 Porcelain might have been better at toning down the redness in my face since it’s paler. What do you think, am I making any sense? I love how this foundation has a matte finish. I find that with dewy foundations, if I add a powder on top to mattify it it makes me look dry and highlights my wrinkles. But the matteness of this foundation does not do that. I do have to blot throughout the day, but I can go a few hours before I need to. I’ll usually do my first blotting around lunch time. I’m loving this foundation! But now I’m considering buying the shade 110 Porcelain. However, with summer just around the corner I’ll be getting a tan in no time and I’ll actually need a darker shade so I’ll wait until I get back to my winter paleness next year. UPDATE: I tried the shade 110 Porcelain, go read my review.